In the UK, annual boosters have been common practice for cats and dogs. Kennels and catteries request to see the veterinary record when boarding an animal to ensure they are up to date with vaccinations. Over the years many of the pet owners using VacciCheck have expressed their frustration at over vaccinating their dogs in order to use the service of a kennel. “E5.2 An up-to-date veterinary vaccination record must be seen to ensure that dogs boarded have current vaccinations against canine parvovirus, canine distemper, infectious canine hepatitis (adenovirus) and, leptospirosis. The date of the most recent vaccination must be recorded preferably with a valid until date. The certificate must state that it is valid for the period of stay at the kennels. 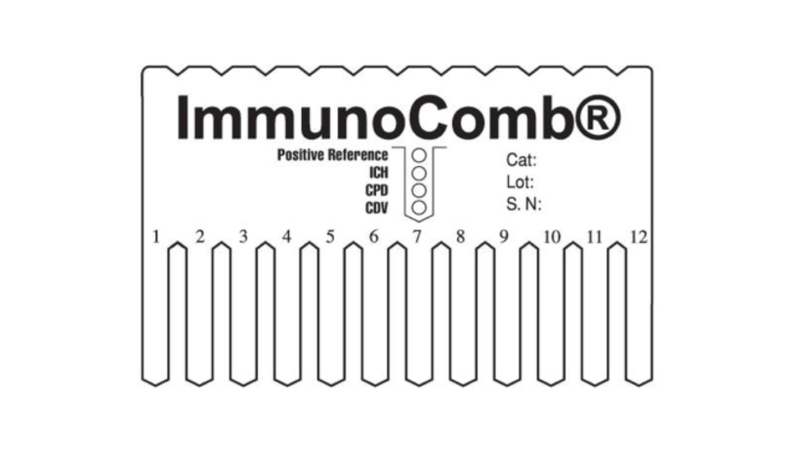 Woodley Equipment supplies the ImmunoComb® VacciCheck Antibody Test Kit from Biogal, which monitors serological status, reduces vaccination failure and prevents over vaccination consequences for dogs and cats. 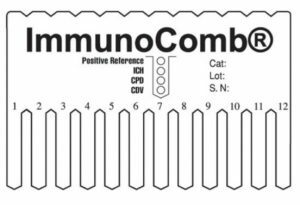 The VacciCheck titre test for dogs and cats is a simple blood test that tests for circulating antibodies to the core infections. If antibodies are present, the dog/cat is immune to the core diseases and revaccination (with core vaccines) is not required. WSAVA guidelines recommend a titre test once a year rather than routinely giving dogs/cats an annual booster. If the animal is immune, an extra booster at this point would be surplus to requirements and would not provide any additional immunity.